Sono’s Works With Alexa, but not Google Home. Which Sonos Speakers work with Alexa? The full line up of Sono’s speakers work with Alexa. To enable Alexa control of your Sono’s speaker you will need to enable the Sono’s Alexa Skill in the Amazon Alexa app. We cover the steps hot to set up your Sonos speaker with Alexa in depth below. Which Sono’s Speakers have Alexa built in? 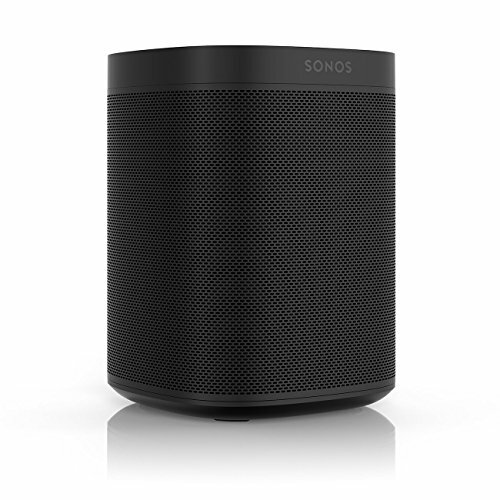 All Sonos speakers are designed to work with all Amazon Alexa devices but there are currently two Sonos speakers that have Amazon Alexa built into the Sonos speaker so that you don’t need to have another Amazon Alexa device, you can talk directly to your Sonos speaker with it’s built in microphone and Amazon Alexa Sensors. Both the Sonos One and the Sonos Beam have Amazon Alexa built directly into the speaker. How do I control Sonos with Amazon Alexa? You will either need an Amazon Alexa Device & Sonos Speaker or a Sonos Speaker with Amazon Alexa built in. Sign in and set up both Apps. Does Sonos Work With Google Home? As of September 2018 the Sonos speakers do not natively work with google home. There is a work around using a third party app that integrates with google home to connect Sonos and google app which is detailed in the video but it is not a native integration like Sonos has with Alexa. If you want to control your Sonos with voice we recommend you stick with using Amazon Alexa. 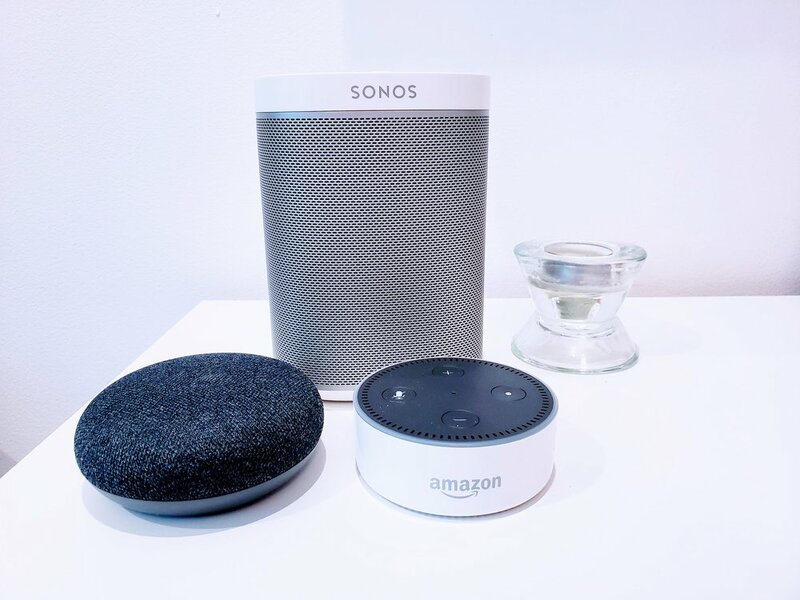 I attended a Sonos seminar hosted by Sonos in the summer of 2018 and they reported that Sonos would be adding Google Home & Siri integrations to their Sonos One & Sonos Beam speakers through an app update later in 2018. When the app updates supposedly you will be able to use Alexa, Google & Siri features all on the Sonos One & Sonos Beam smart speakers. Is Google Home Built Into Sonos Speakers? As of September 2018 google home is not built into any Sonos speakers but it is reported that Sonos will push an app update before the end of the year to the Sonos One & Sonos Beam speakers that will enable built in Google Home control of the speakers. Right now the Alexa is built into both speakers and the combination of great sound and Amazon Alexa makes the Sonos One, one of my favorite smart home devices. Is Siri Built Into Sonos Speakers? 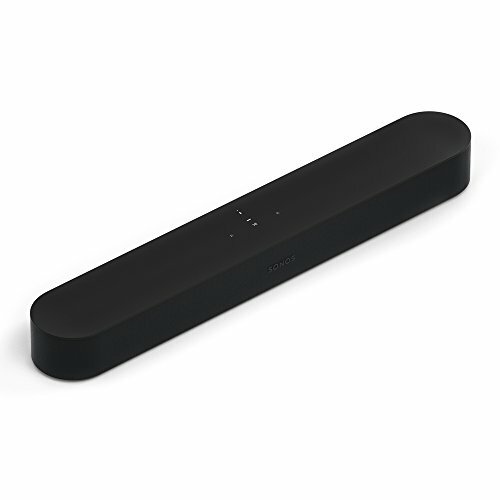 Sonos has that same slick design that Apple is known for but as of September September 2018 Siri is not built into any Sonos speakers it has been reported that Sonos will push an app update before the end of the year to the Sonos One & Sonos Beam speakers that will enable built in Siri voice commands for the smart speakers. Where is Amazon Go In Chicago?